Congratulations to Stefanie Anderson from Kinderberry Hill Minneapolis and Susan Peterson from Kinderberry Hill Roseville for winning Terri Lynne Lokoff/Children’s Tylenol© National Child Care Teacher Awards for 2018. Both Stefanie and Susan are infant teachers with Kinderberry Hill. Since 1994, TLLCCF has presented these awards to fifty teachers from across all fifty states. This award acknowledges the critical role of child care teachers in providing quality early care and education. Applicants of the award must submit a classroom project proposal, answer essay questions, and have a letter of recommendation from their executive program director. Stefanie’s project is about light and dark and giving babies opportunities to explore shadows. Susan’s project will add more natural elements to her classroom, including mirrors which encourage vocabulary development in infants. This spring Susan and Stefanie will travel to Pennsylvania to accept their award. Several teachers from Kinderberry Hill have received this award in years past. Congratulations, Stefanie and Susan! 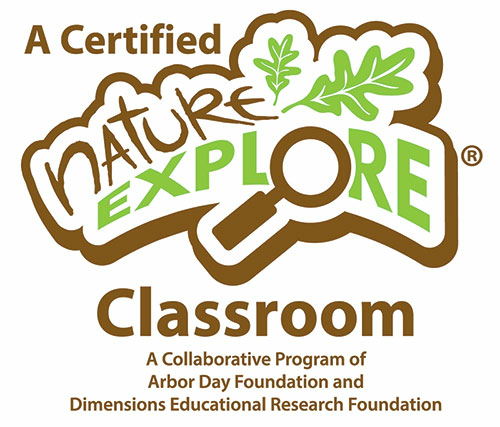 Six Kinderberry Hill Child Development Centers have earned national recognition as Certified Nature Explore Classrooms from the Nature Explore program, a collaboration of Dimensions Educational Research Foundation and the Arbor Day Foundation. This certification confers upon Kinderberry Hill numerous benefits, including membership in an ever-expanding network of more than 380 like-minded spaces nationwide. These Certified Nature Explore Classrooms foster highly effective, nature-based outdoor learning. These outdoor classrooms offer interactive elements such as musical instruments made of natural materials, garden or pathway areas, and natural materials for building and creating art. Research consistently shows that children who learn and grow in Nature Explore Classrooms exhibit enhanced concentration, develop creativity and problem-solving techniques, manage stress in healthy ways, and develop skills across the spectrum of academic and creative learning. 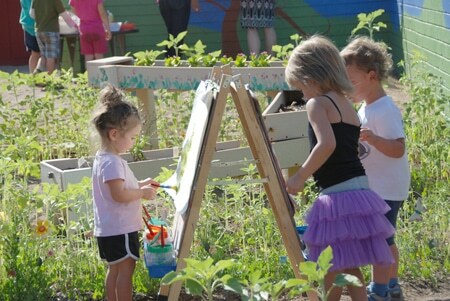 Nature Explore Classrooms were developed by a team of master educators, landscape architects, and researchers in response to the documented growing disconnect between children and nature. The classrooms help fill this void by integrating research-based outdoor learning opportunities into children’s daily lives. Classrooms that are designed according to standards and principles described in Dimensions Educational Research Foundation’s Learning With Nature Ideas Book are eligible to become Certified Nature Explore Classrooms. 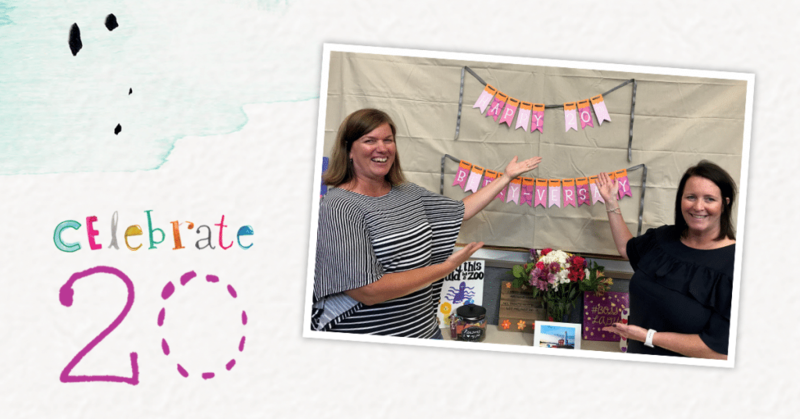 4 Kinderberry Teachers Celebrate 20 Years! Kinderberry Hill wishes a very happy anniversary to Jodi and Barb, who celebrated their 20 year anniversaries last week with family, friends, and KBH alumni. We are so thrilled to have Jodi and Barb as members of our KBH family. Congratulations to you both! 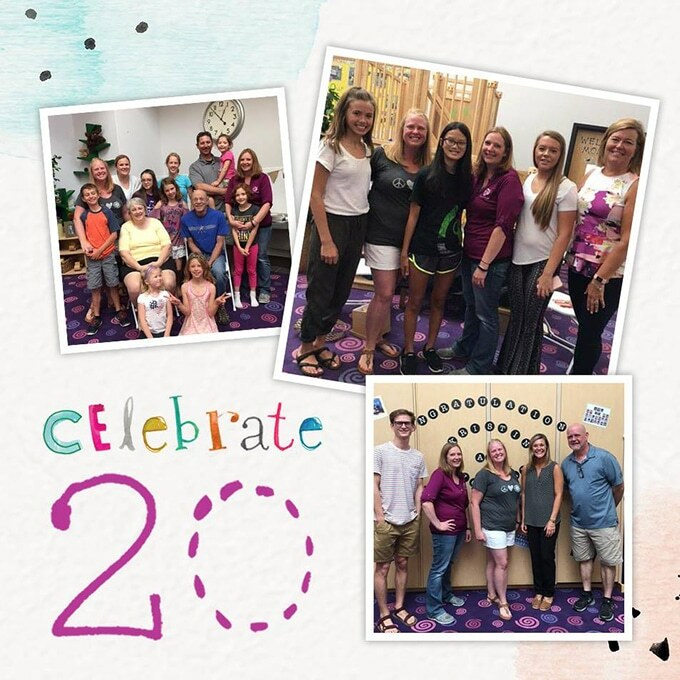 Kinderberry Hill wishes a very happy anniversary to Kristin and Michelle, who celebrated their 20 year anniversaries yesterday with family, friends, and KBH alumni. 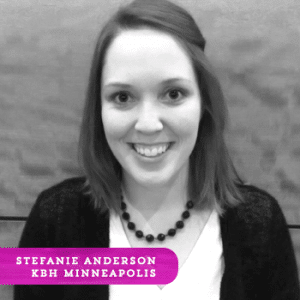 We are so thrilled to have Kristin and Michelle as members of our KBH family. Congratulations to you both! Plymouth, MN, 2017—Kinderberry Hill Child Development Centers has been named one of the Top 150 Workplaces in Minnesota by the Star Tribune. A complete list is available at StarTribune.com/topworkplaces2017. 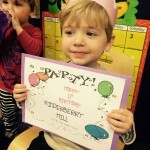 Kinderberry Hill has seven locations in the Twin Cities, including Eden Prairie, Edina, Minneapolis, Plymouth, Roseville, St. Paul, and Woodbury. Top Workplaces recognizes the most progressive companies in Minnesota based on employee opinions measuring engagement, organizational health, and satisfaction. The analysis included responses from over 69,000 employees at Minnesota public, private, and nonprofit organizations. The rankings in the Star Tribune Top 150 Workplaces are based on survey information collected by WorkplaceDynamics, an independent company specializing in employee engagement and retention. Kinderberry Hill was ranked 38th on the midsize company list. Kinderberry Hill Child Development Centers is pleased to announce that three early educators have won the 2017 Terri Lynne Lokoff Child Care Foundation (TLLCCF) National Child Care Teacher Award. The Terri Lynne Lokoff Child Care Foundation (TLLCCF) is a nonprofit 501 (c)(3) organization dedicated to making America better by improving early care and education. The National Child Care Teacher Awards acknowledges the critical role of child care teachers in providing quality early care and education. 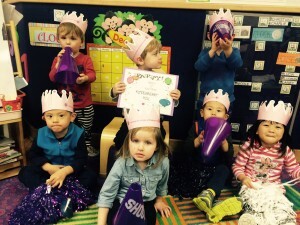 The awards are open to child care teachers nationwide. To apply, teachers create an enhancement project for their classroom and discuss how it will benefit the children. Each year, the TLLCCF Board of Directors selects 50 winners from across the country. Winners receive a cash prize for their project plus attend an awards ceremony in Philadelphia, PA. Since its inception in 1994, the TLLCCF has recognized 943 child care teachers and presented awards totaling more than $902,000 in support of recipients and their classrooms. Kinderberry Hill Plymouth has announced that Danielle Anderson has earned her Master’s of Early Education degree from Concordia University. 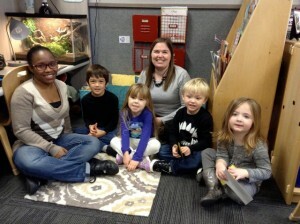 Danielle is an early educator, teaching children from infants through pre-kindergarten. Kinderberry Hill is located at 185 Cheshire Lane in Plymouth. 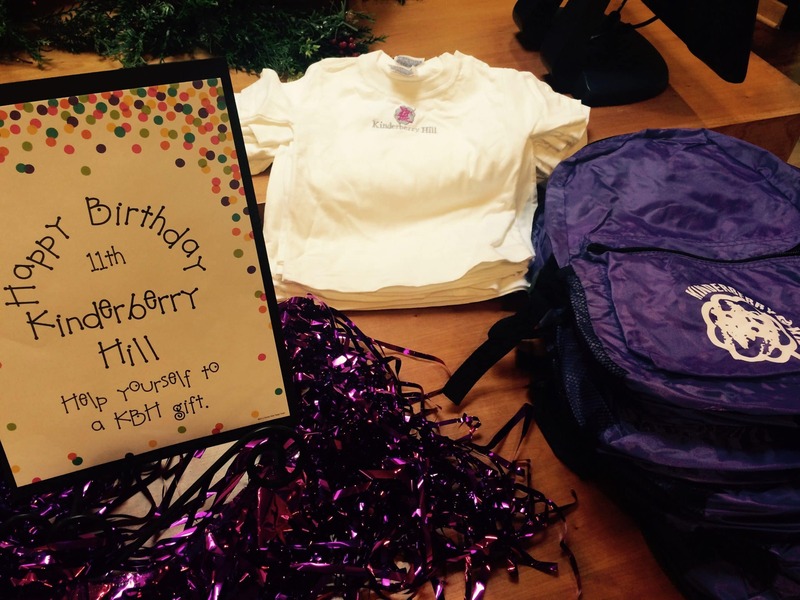 A huge shout out to Kinderberry Hill, Woodbury, who celebrated their 11th birthday this week! Did you know that KBH Woodbury began over 25 years ago as an onsite child care facility for 3M professionals? The staff has provided the very best care and education for hundreds of east metro families over the years, and we couldn’t be more proud. Kinderberry Hill Child Development Centers and Reflection Sciences, Inc. are pleased to announce a partnership to bring executive function assessments to the six Kinderberry Hill locations across the Twin Cities. Executive function is a set of neurocognitive skills that develop rapidly in young children. Comprising of self-control, working memory, and cognitive flexibility skills, executive function is often referred to as the air traffic controller of your brain. Research has shown executive function skills are more predictive of academic success than IQ and is one of the best predictors of kindergarten readiness. Kinderberry Hill and Reflection Sciences are also conducting a number of training sessions for all of the Kinderberry Hill educators. The training details the background of executive function, how to assess executive function, and strategies for improving executive function in young children. 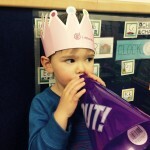 About Kinderberry Hill: Since 1990, Kinderberry Hill has been fully committed to offering the very best child care and early education programs in the Twin Cities. They recognize that the early years are crucial. Through extensive research, they develop comprehensive one-of-a-kind curriculum that strongly emphasizes cognitive development and intellectual challenge. They have locations in Eden Prairie, Edina, Minneapolis, Plymouth, Roseville and Woodbury. 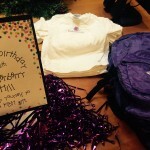 Learn more at www.kinderberryhill.com. KBH wishes a very happy anniversary to Kathy Sjursen, Executive Director at KBH Woodbury, who is celebrating 19 years with the company this week. With her passion for early education and commitment to excellence, Kathy has served as an exceptional leader and role model for her team. Together they have inspired hundreds of children to excel in school and in life. 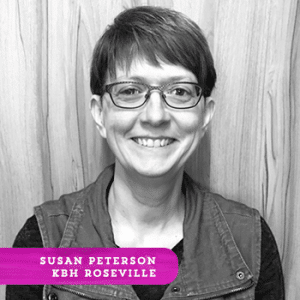 We are so thrilled to have Kathy as a member of the KBH family. Congratulations, Kathy! 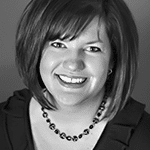 A big congratulations to Heidi Olson, who celebrated 21 years with Kinderberry Hill last week. Heidi, your passion for early education and love of children has helped to enrich the lives of so many students. We couldn’t be more thankful and proud! 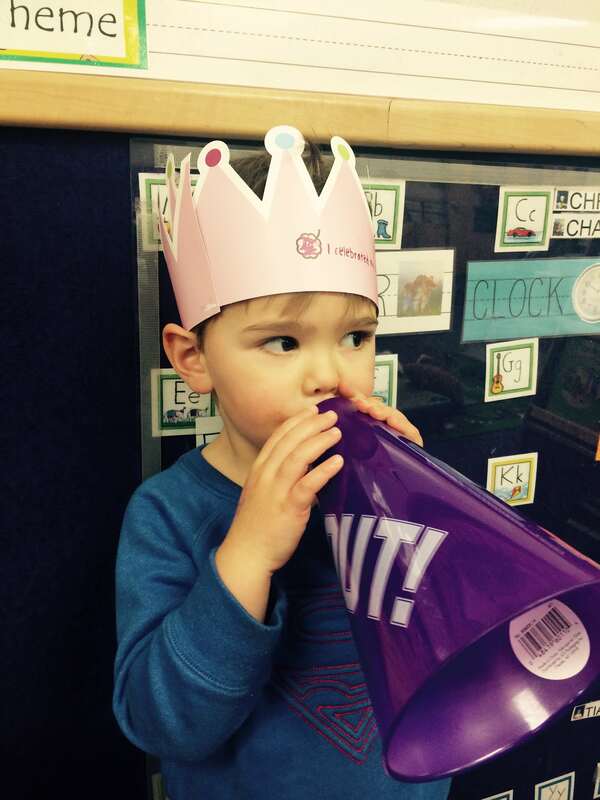 100% of our schools are accredited by the National Association for the Education of Young Children (NAEYC). NAEYC is known as the gold standard in early childhood education and is one of two accreditation systems recognized by the State of Minnesota. This elite distinction is earned by programs that epitomize and maintain the highest standards in early childhood education. In fact, due to the rigorous standard and review process, less than 9 percent of child development programs nationwide have been awarded NAEYC accreditation. 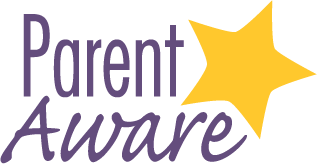 Our schools are proud to receive a 4-star rating, the highest rating possible from the state’s Parent Aware Quality Rating Program! A four-star rating means our schools exemplify a truly engaged school-readiness partner for parents, offers ongoing assessment of a child’s progress, continually adapts plans and goals to meet individual needs, regularly updates parents on a child’s progress, communicates across cultures, and receives and documents on-going childhood-related education.